SPONSORED: As 2016 comes to a close we take a look at four extraordinary Alaskans making a difference. The year 2016 has been one to remember; filled with accomplishments by Alaskans. Artists and athletes created and conquered. Innovators unveiled groundbreaking new ideas. Community leaders stepped up to help the people around them in unprecedented new ways. It's been a year of discovery, invention, perseverance and progress—mind, body and spirit. As it comes to a close, take a look back at some of the milestones. In 2016, brothers Grant and Reid Magdanz brought Alaska Native languages to iPhone keyboards. "It really was just like most things in tech," Grant said. "We saw that there was a need for this." Raised in Kotzebue, Reid said he was inspired to create the app after beginning to study the Inupiaq language in earnest about two years ago. With its special characters and spellings, Inupiaq—like all Alaska Native languages—was difficult to type on a traditional smartphone keyboard. "I was motivated to find a solution to that," Reid said. "I really appreciate being able to type languages in the way they're supposed to be written." So the brothers went to work. Grant, with experience in coding, tackled the tech side. Reid worked to reach out to native speakers who could help verify spelling and usage. 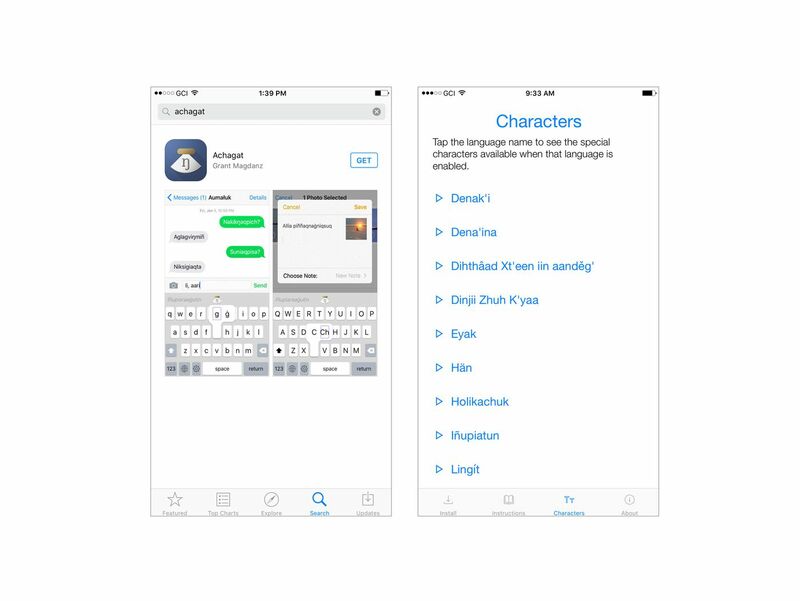 In January 2016, they released Achagat, an Inupiaq-only keyboard app. In October, they released Chert, the first keyboard app to service all 20 Alaska Native languages. The response was good. "People seemed to like it," Grant said. "It seemed there really was a need; really was a want to type the language the way it was supposed to be written." They heard feedback from friends and family and the woman working at the post office in Kotzebue. The iTunes app store listing is filled with five-star reviews written by people who typed their thanks in Tlingit. The Magdanz brothers say Chert is a testament to collaboration: Without the help of native speakers around the state, the app wouldn't exist. It's a work in progress, too: Grant said they're still trying to iron out the final glitches. But at the end of the day, they consider it a success—a way to communicate in Tlingit on your touchscreen phone, or add a Yupik caption to your latest Snapchat. "I think it's really important to make the statement that they are modern languages and can be used in modern contexts," Reid Magdanz said. In 2016, Nick Hanson jumped, swung, lifted and lunged his way from his hometown of Unalakleet all the way to the finals of the NBC competition show American Ninja Warrior. A World-Eskimo Indian Olympics champion, Hanson grew up playing basketball and volleyball, running and wrestling. As a teenager, he competed in front of small crowds in high school gyms. When he appeared on the June premiere of American Ninja Warrior, more than 6 million viewers tuned in to watch. But Hanson's more than a star athlete—he's also a role model. When he's not competing on TV, he's coaching everything from kids' cross-country running to Native Youth Olympics sports. And he says that's what he wants to do for the rest of his life. In 2016, Inupiaq artist Allison Akootchook Warden installed herself in the Anchorage Museum at Rasmuson Center for a two-month-long work of performance art: Unipkaagusiksuguvik, the place of the future/ancient. The work of art came to life within a makeshift qargi, an Inupiat ceremonial/community house located, according to Warden, "in the space of where the hyper-future meets the super-ancient, a liminal space where myths are born and the Eagle Mother is honored with ceremony and dance." Inside, Warden led talk shows, beading workshops, crafting, musical performance, a special Halloween event and significant cultural ceremonies. The work was creative, compelling and utterly Alaskan—an artistic milestone for Alaska's largest museum. In 2016, Samuel Johns was inspired to take a stand for environmental conservation. Raised in the Southcentral Alaska community of Copper Center, Johns has made a name for himself as an Alaska rap artist, performing under the name AK Rebel. But his work doesn't end on the stage or at the studio door: He uses his music to make change in the communities around him, and his passion for social justice has carried him across Alaska and beyond. This year, he traveled to the FBI headquarters in Washington, D.C., to receive the Director's Community Leadership Award. In Alaska, he was named one of the Alaska Journal of Commerce's Top 40 Under 40. His organization, Forget Me Not, continues to connect homeless Alaskans with family members and home communities. 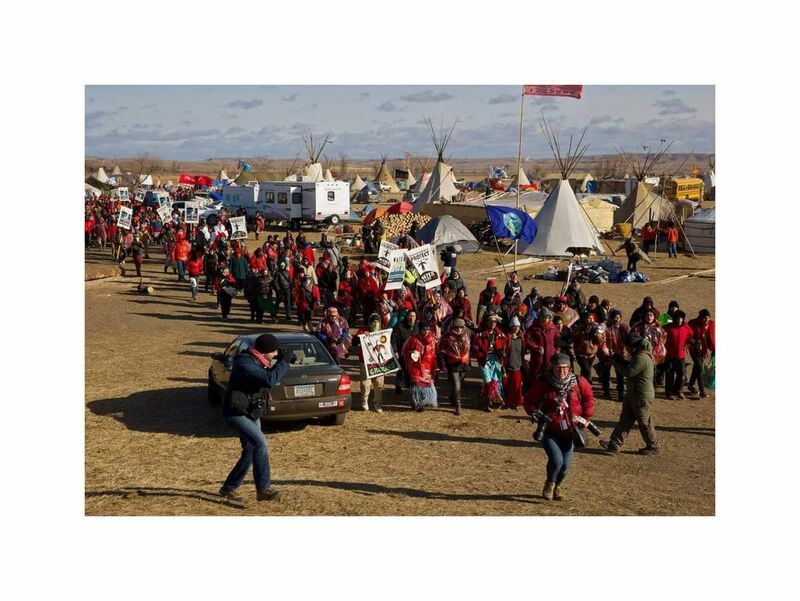 Perhaps the most meaningful milestone of 2016, though, was his trip to the Standing Rock Indian Reservation, where he joined thousands of others protesting the construction of the Dakota Access Pipeline. Now, Johns says, "I want to wake people up and create a clean energy revolution in Alaska." "I want to create change by waking people up; showing people there is a brighter future," he said. "I just want people to know they are intelligent. They are smart, and they can innovate. We've gotten way too comfortable with where we are today." Johns points to Alaska communities like Igiugig, where hydropower is a growing solution to local energy needs. In 2016, the National Hydropower Association named the Ocean Renewable Power Company one of four Outstanding Stewards of America's Waters for the company's work installing a special underwater turbine in Igiugig's Kvichak River. Johns hopes to see other alternative energy initiatives blossom around the state. He's inspired by his daughters, ages 13, 9 and 1. Their curiosity motivates him to ask his own questions, he said. He hopes to inspire other Alaskans to be curious, too. Abandon apathy. Make a difference. "We do have the power to change things," Johns said. "We could make change today if we wanted."